I had some problems taking good pictures for the next swatches, so I decided to make my top #10 list until I solve the problem. The following pictures are a bit crappy (BB Bold's 2Mpx camera is not that good, especially indoors, so..), so I am sorry. Even if my lips are dry as hell, chapped and bleed. Just put some and leave for the night, and...tada! Great results already. I always have a tube in my bag, and I have already give some to my friends who tried it and love it . This is my favorite Mascara. I have tried tones of Mascaras from the cheaper to many high-end ones with amazing reviews. None can ''help'' with my problem. I don't have short eyelashes, neither I have problem with how rich they are. My problem is that no matter what, they are straight. My hair is wavy, and even my eyebrow hair tend to curl in the edges, but my eyelashes are so-damn-straight. Curling / curling / curling, I used so many and did nothing. With regular curler machine or just curler, still, nothing . Only this one let 'em stay curly. After one apply of that, if I want, I can apply any other mascara (for long or rich lashes), if not, its useless. Price = I think its 14 euros. This is magic. I m using it for more than 2 years, and have emptied enough bottles of it already. Before posting my top list, I made a search to see reviews, and I was suprised that it wasn't like by many, like it did nothing, or that caused pimples. It makes my skin glowing, it gives a very very smooth touch, smells amazing (I love the smell of orange anyway) and gives me perfect skin (I have dry skin) . Also, it moisturizes. 4# Anticernes concealer by Seventeen cosmetics (Greek brand). I use this concealer for more than 6 or 7 years. Its just the best I have ever used. Moisturizing, blends well with the skin, great for my skin tone, good even for highlighting (the lighter shade) or to hide pimples (the rest of shades). Unfortunately this brand, which has a great line of nail polishes ( I reviewed one here on my first post) , is only available to Greece. Its dissapointing because it has some very good products, with good prices, that you'd gonna love. I will give nail polishes in my first giveaway and probably another product, too. 5# Lip liner in natural color (#11) by Radiant. Radiant is the proffesional line of seventeen. Its a bit cheaper than seventeen, but it has even higher quality products (though the concealer of radiant is not good). The lip liner is not something special, its a very good lip liner with very good staying power. you can find lots of that. But its EXACTLY my lips color (naturally, coz sometimes with bad weather my lips are very deadly-white). Since I have not well-defined lip lines, I find this very very have-to and everyday usage product. I had magic in my country, hometown, home and never used it ! I know what Olive oil was capable of , but never tried it ! 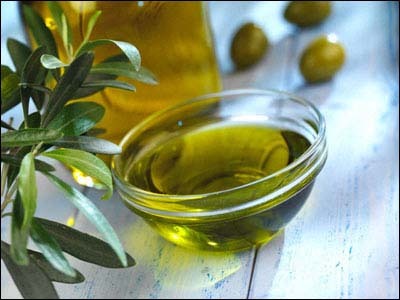 It will sound strange, but I am not a fan of olive oil, or oils in general. I don't like greasy feel in my mouth. So the only use of it , was to exfoliate my lips, together with some sugar. I m more the lipstick kind of girl to be honest. Maybe this is because I was never happy with a lipgloss. Too watery, too sparkly, too sticky (especially that), too non-natural look until.... Mega Shine Lip Glosses by Nyx. Love the smell, the texture, the colors, the non-stickiness. I would be fair to say that Korres' cherry lipgloss is also non-sticky, and have all that kind of feautures, and even better staying power, but the cheaper price and the color range, wins for me. Still, love em both. I wanted a foundation EXACTLY for my skin tone, not too yellowish, not too white, not sticky and thick and not making my skin dry. This is it. My NC20 baby. 1 euro = 1.2937 US dollars (04 Jan 2012 exchange price).